The Musicians Union of Ghana (MUSIGA) has been asked to account for the GH¢2 million (¢20 billion) the Government of Ghana set aside in the 2012 budget to boost the creative arts industry.MUSIGA has gone for the money and is using it without the approval of other stakeholders in the creative arts industry and this has led to some bad blood between the union and other stakeholders in the creative arts industry. The Music Council of Ghana (MCG) will be leading a delegation of music/creative arts stakeholders to present a petition to President John Mahama over the issue and also hit the streets on a demonstration meant to draw attention to the issue of the GH¢2 million. 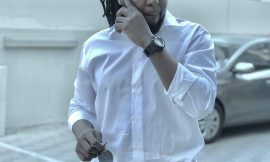 Reports reaching NEWS-ONE say MUSIGA is hot over the issue and has fallen on leading figures within the industry to call for a dialogue rather than demonstration. 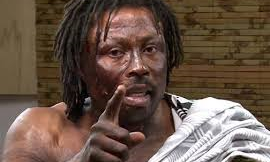 On Wednesday, Ahuma Ocansey, popularly known as Daddy Bosco, was said to have represented MUSIGA at a meeting with the aggrieved stakeholders and pleaded for an amicable settlement of the matter. Meanwhile, MUSIGA President Bice Obour Kufour is cooling off in New York, apparently absolutely unperturbed about the development. A press statement signed by Justice Cletus ,general secretary, Music Council of Ghana noted: “After waiting patiently for the Government through the Ministry of Chieftaincy & Culture to invite all stakeholders in the music/creative industry for appropriate disbursement of the GH¢2, 000,000 budgetary allocation from the government of Ghana to the entire creative industry, we are indeed heartbroken and refuse to accept any such criteria or justification which warranted the total disbursement of this whole sum to one union of musicians called MUSIGA by the Ministry of Finance in collaboration with the Chieftaincy Ministry. 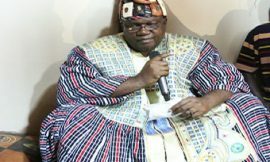 Not long after the budget was read, MUSIGA President Bice ‘Obour’ Kufour told several media houses that the money was for his musicians union alone and true to his words, they have hijacked the funds and left out all other stakeholders. 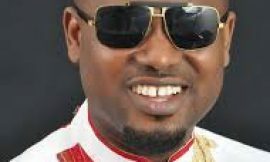 Speaking with Hitz FM, an Accra-based private radio station recently, ace hi-life musician Rex Omar, who is chairman of Business for MUSIGA, insisted that the money solely belonged to the musicians union, contrary to speculations. 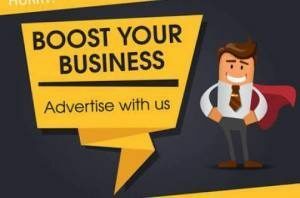 According to him, “MUSIGA applied for GH¢2 million and it has been given to MUSIGA,” adding, if the money was meant for the creative industry, “how come MUSIGA was able to access it and not the creative industry? 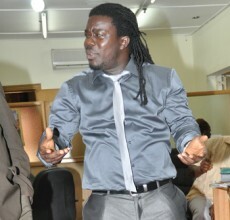 MUSIGA sent a specific proposal to do specific things”. Meanwhile, the circumstances under which the Ministry of Finance released the money to MUSIGA alone are quite mysterious, especially when the Minister of Finance, in reading the budget statement, had categorically stated that the money was for the creative arts industry. “Madam Speaker, Ghana has a vibrant creative arts industry that can be nurtured to create jobs and provide increase income to all stakeholders. The industry covers creative sectors such as music, film video and photography, visual and performing arts, publishing, etc. “193. Ghana can benefit immensely if it begins to tap the creative sector of the economy, particularly those of the music and film industry. But this will require an evaluation of the potential of the creative industry to contribute to the growth of the economy. Beginning in 2012, therefore, Government will collaborate with the music industry to identify the potential of the industry through an impact assessment study. The study will be used to support the preparation of a medium term strategic framework that will guide the development of the industry. Government will also support the organisation of the 2012 Ghana Music Fair. “194. An amount of GH¢2.0 million has been allocated to support the creative arts industry in 2012,”was what Finance Minister Dufour told Parliament when he read the 2012 budget last year November. This is what is also captured in the 2012 budget under the subhead line ‘Boosting the Creative Arts Industry’.